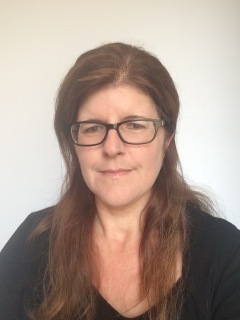 Helen Beebee is Samuel Hall Professor of Philosophy at the University of Manchester. She has published on topics in metaphysics, primarily on causation, laws and free will; in epistemology; and has a monograph on Hume (Hume on Causation, 2006). She has also written some undergraduate texts: An Introduction to Free Will (2013), Metaphysics: The Key Concepts (2010) with Nikk Effingham and Philip Goff, and Reading Metaphysics (2007) with Julian Dodd. She co-chairs, with Jenny Saul, the British Philosophical Association/Society for Women in Philosophy (UK)’s joint committee for women in philosophy. In their co-chairing role, they co-authored a 2011 report, Women in Philosophy in the UK, and in 2014 launched the BPA/SWIP ‘Good Practice Scheme’, aimed at getting departments, learned societies and journal editors to improve their practices in ways that may encourage more women to stay in the profession. She is one of four Patrons of the Athena Swan Charter in the UK, a national government-sponsored scheme that encourages gender equality in academia. Many thanks to Meena for inviting me to contribute to, and more importantly for running, this blog. My post is high on sweeping assertions and low on rigour. But, in my defence, I wanted to write about something that really matters to me as someone who self-identifies as a metaphysician. So that’s what I’ve done. Here’s a feature of the contemporary free will debate that I find deeply puzzling. (This post is mostly going to be about metaphysics more generally, but bear with me.) Libertarianism – the view that (a) we actual human beings act freely at least some of the time but (b) doing so requires that free actions are suitably related to (or just are) events that are not deterministically caused – is a pretty popular view. And yet very few libertarians seem to be interested in actually arguing that the world is, in fact, indeterministic in the required way. (There are exceptions – Helen Steward, in her book A Metaphysics for Freedom, is one – but not many.) Instead, the debate almost entirely revolves around whether libertarianism is a coherent position – or, to put it another way, whether there are possible worlds in which libertarian free will exists. This is a curious state of affairs, but I think it connects with a broader, and equally curious, state of affairs within metaphysics as a whole, namely the increasingly popular view that metaphysics is (to quote E. J. Lowe) ‘the science of the possible’. The task of metaphysics, Lowe says, is that of ‘charting the domain of objective or real possibility’ (2011, 100). On this view, ‘[a]ll metaphysics is implicitly modal, because it is primarily concerned with kinds of things are possible or compossible, and only subsequently with what kinds of things are actual’ (2011, 106). We might think of much of the contemporary free will debate as fitting this general mould: what we are primarily interested in, so the thought goes, is figuring out what any possible world has to be like in order for there to be free agents at that world. It is of only secondary interest whether the actual world happens to be such a world. Thus conceived, the debate strikes me as one that has become at least partially unhinged from what is surely the most important question about freedom of the will, namely whether – and in what kinds of circumstance that stand a fighting chance of being actual – it’s something that we are capable of exercising. After all, assuming that freedom of the will underpins moral responsibility, surely it’s much more important to figure out whether and when we exercise it than it is to worry about whether merely possible agents who inhabit possible worlds that might well be very different to our own exercise it. If Lewis is right about what he calls ‘modal inconstancy’ – and I think he is – then the ‘science of the possible’ cannot get off the ground. But imagine that Lewis was just wrong about modal inconstancy. Would that vindicate the use of modal intuitions as data for the science of the possible? Only if we could tell a convincing story about their epistemic credentials. Back in the heyday (or dark days, depending on your point of view) of late-ish 20th Century Lewisian analytic metaphysics, intuitions generally were normally conceived – and certainly conceived by Lewis himself – as mere elements of our commonsense theory of the world, and their importance derived from the idea that consonance with our commonsense theory constitutes a methodological constraint on metaphysical theorising. (That’s not an unproblematic view, of course.) But times have changed, and intuitions are generally not seen in this light. And so, if consonance with intuitions is to remain a desideratum of an adequate metaphysical theory, we need an account of why they are to be trusted. Thus we have debates about whether intuitions are a priori, or self-justifying, or quasi-perceptual states, and so on. But to think of intuitions in these kinds of ways is to return to just the kind of metaphysics that Hume wanted to see committed to the flames. Lowe himself advocates just such a return: the ‘dark days’ of metaphysics, he thinks, ‘began with Hume and Kant and lasted until the second half of the twentieth century’ (2011, 108). Well, I myself don’t find those days so unrelentingly dark. Of course, if one conceives metaphysics as Lowe does – as ‘an enquiry into the ultimate nature of mind-independent reality’ (2011, 99), then those days – many of them – were dark. In particular, neither Hume nor Kant thought there was very much that could justifiably – or indeed intelligibly – be said about the ultimate nature of mind-independent reality. So by Lowe’s lights, neither of them was really doing metaphysics at all. I’d like to think that metaphysics will remain inclusive enough to embrace those of us who have empiricist sympathies, and those of us who are inclined to think – as Lewis thinks in the case of essences – that a great deal of what we are doing in the metaphysics room is not, in fact, penetrating into the ‘ultimate nature of mind-independent reality’ at all. (Metaphysical realism is, after all, a metaphysical thesis, and hence subscription to that view cannot coherently be viewed as a necessary condition for doing metaphysics at all. To deny metaphysical realism, or realism about some specific area of enquiry, is to make a metaphysical claim, and not to stop doing metaphysics all together.) The current direction of travel suggests otherwise.